Enjoy your favourite pack in La Cabanya house. A highly rewarding experience for the 5 senses. Enjoy unforgettable days relaxing and disconnecting. The pack includes a wellness treatment for each person, to choose between body and/or facial. Body treatments: Anti-stress, Revitalizing massage, Way to Paradise, Wind Caress, Mediterranean Brezze, India Sensations, The Dionis Desire and Fruitherapy. 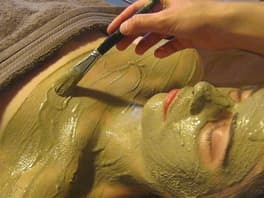 Facials treatments: Facial Eternalyouth, Earth Secrets, Cleopatra and Silk skin. Surprise your couple with the Romantic Pack. 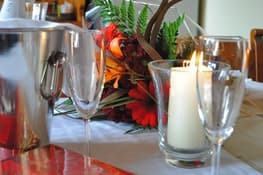 The pack includes a bouquet of fresh flowers, a box of chocolates, the warmth of the fireplace (in winter), petals on the bed, a bottle of cava or a bottle of DO Empordà wine, candles, in order to ensure a memorable stay. Discover the meaning of the SPA word "Salutem per aquam" (health trough water) by yourself in this personal SPA package. This pack includes a bath in a Jacuzzi ® bathtub for each person. You can choose: Cleopatra Bath, Citrus Bath, Dionysus Bath and Roman Bath. Give La Cabanya, a very special gift.